We asked APCI for a complex multi-media solution, and they delivered. We now have state of the art audio/video capabilities in both of our conferences rooms as well as our lobby and break room. In addition, our system is scalable enough to handle future technologies, too. APCI provided the perfect solution for our budgetary concerns while delivering the “wow factor” to impress our clients. Thanks APCI! 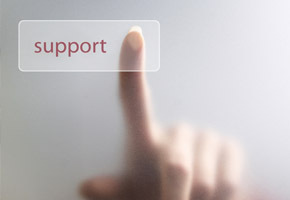 APCI offers a comprehensive, proactive approach to IT Support. Through proper monitoring and preventative maintenance your business can achieve up-times above industry standards for all of your critical IT components. APCI delivers critical system and software patches in a timely manner… usually afterhours when it impacts you the least. And through our help desk and on-site tech support, your business receives the one-on-one, hands-on help when you need it most. And perhaps the biggest cost savings advantage to you is remote monitoring and maintenance service.